Institutional representatives from Albania, Algeria, Egypt, France, Greece, Iran, Italy, Jordan, Lebanon, Libya, Montenegro, Morocco, Palestine, Portugal, Spain, Tunisia and Turkey joined the international meeting Integrated actions against XF to protect olive trees and international trade held at CIHEAM Bari from 12 to 14 December. The spread of severe decline of olive trees in Puglia caused by the bacterium Xylella fastidiosa and the detection, in recent years, of new outbreaks in other European and South American areas have raised the level of concern and alert in all olive-growing countries worldwide, with very serious and sometimes unjustified repercussions on international trade. In these same countries, there has also been a very pressing request for further investigation of the problem in order to adopt countermeasures, both from a technical and from a regulatory point of view, to prevent the introduction of the bacterium in uncontaminated areas or, where already present, to contain its spread. 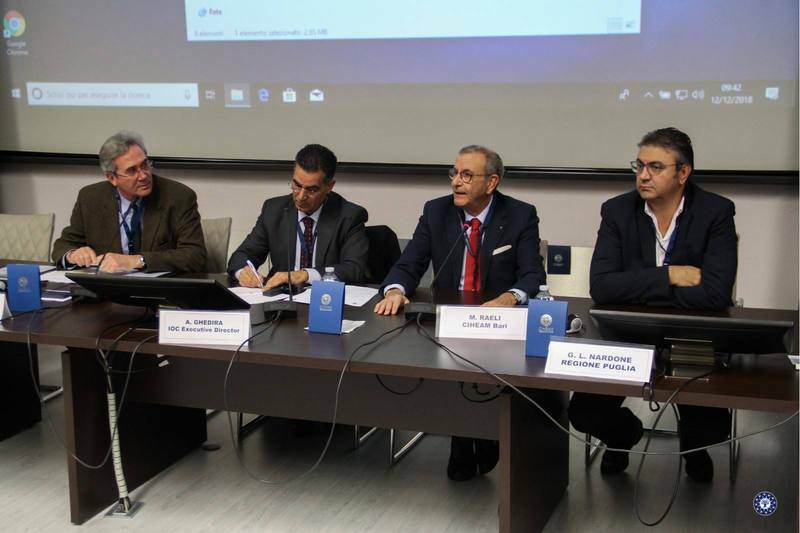 The international meeting organized by IOC (International Olive Council) and CIHEAM gathers, among others, experts from FAO, IPPC (International Plant Protection Convention), EPPO (European Plant Protection Organization), EFSA (European Food Safety Authority) EU, researchers from CNR and the University. 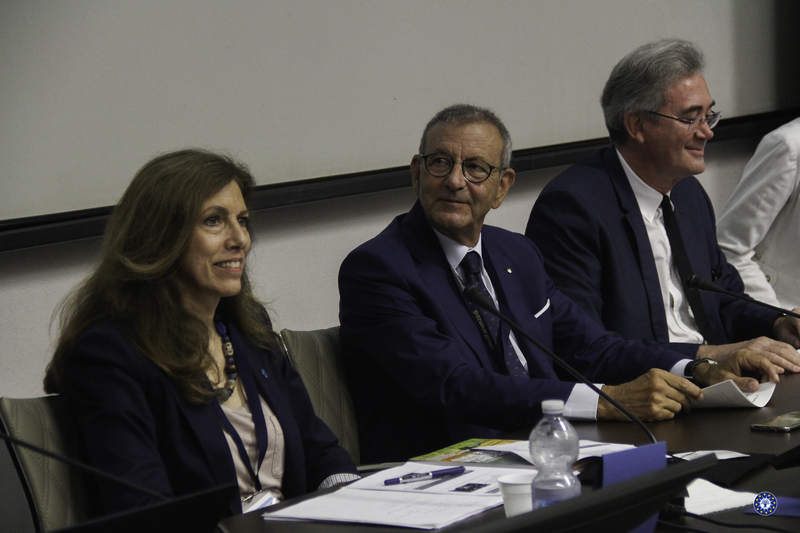 The meeting is open to representatives of institutions and the production world, who play a strategic role in the sector across more than 40 olive-growing countries. It will help to create the basis for coordinating and planning collaborations, practical actions and promoting the exchange of human resources between the participating countries. In a context marked by trade intensification, acceleration of the mobility of population and goods and climate change, crops are becoming increasingly vulnerable to pests and diseases. This affects the key sectors of the economy and presents a series of emerging risks. The prevention and control of plants diseases, the epidemiological surveillance and the plant health information exchanges outside of each country’s borders are becoming more than ever essential for the domestic production, export and import. For these reasons, "Plant Health and protection" are a strategic item of the CIHEAM Action Plan for the Mediterranean (CAPMED 2025). 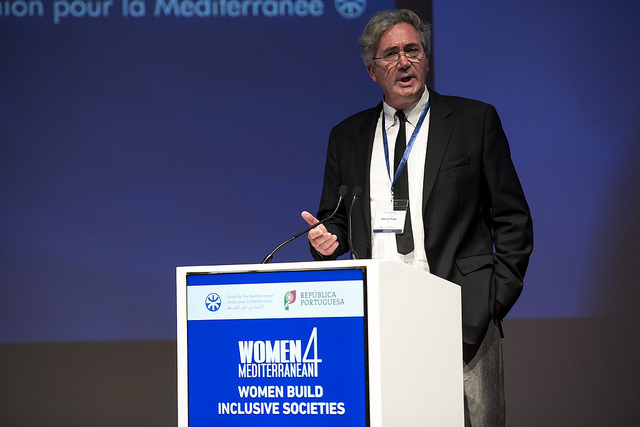 The International Centre for Advanced Mediterranean Agronomic Studies (CIHEAM), together with the Union for the Mediterranean (UfM), the Italian Ministry of Foreign Affairs (IMFA), the Centre for Mediterranean Integration (CMI) with the technical collaboration of the Food and Agriculture Organization of the United Nations (FAO) and Agreenium (the French consortium for research and education in agriculture, food, animal health, and the environment) organised the 2nd Mediterranean Forum for PhD Students and Young Researchers in Bari, Italy. 175 PhD students and young researchers met at the CIHEAM Bari (Italy), from 18 to 20 September, to participate in the 2nd Mediterranean Forum on “Research and Innovation: Tools for Sustainable Agriculture and Food Security”, which gave them the opportunity to present recent research on the basis of previously selected abstracts as well as to listen to keynote speeches from invited guest speakers and panels of experts. Coming from 27 countries (Albania, Algeria, Bosnia, Chile, Egypt, France, Jordan, Great Britain, Greece, Hungary, Haiti, Iran, Iraq, Italy, Lebanon, Libya, Morocco, Macedonia, Netherlands, Palestine, Russia, Serbia, Syria, Spain, South Africa, Tunisia, Turkey), the participants had the opportunity to present their PhD thesis in 180 seconds, and discover success stories of young entrepreneurs and researchers in the region. 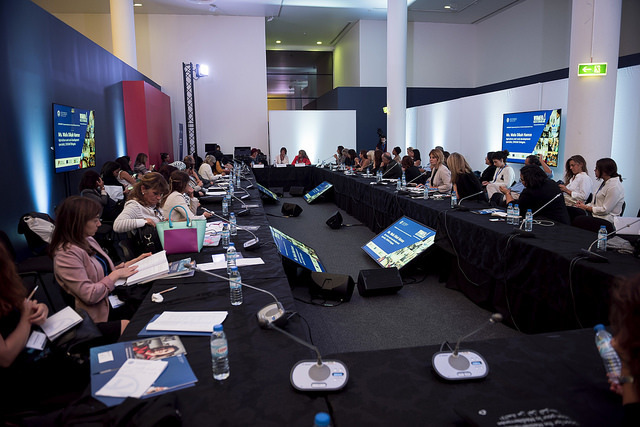 They participated in training sessions and contributed to strategic discussions on the challenges for sustainable development and agriculture in the Mediterranean region and beyond. The event aimed to strengthen the dialogue and sharing of knowledge and experiences among PhD students, young researchers and project leaders from the Mediterranean region, with a view to orientating research and collaborative efforts towards the specific development needs of the Mediterranean countries, including the empowerment of women and youth, enhancing employment opportunities for youth and improving rural livelihoods. 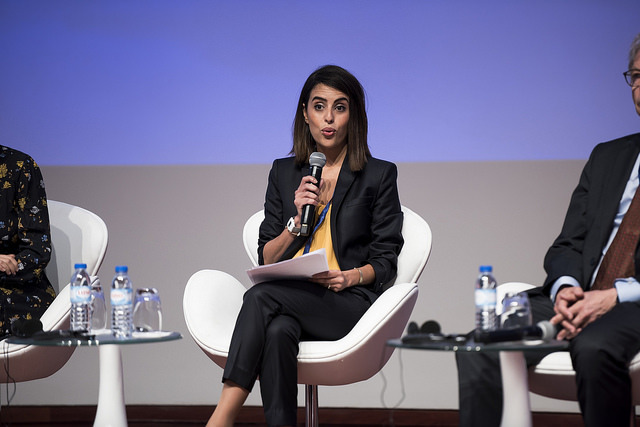 The Forum highlighted the role that research can play in developing innovative tools and integrated solutions for sustainable agriculture, food and nutrition security, fostering entrepreneurship and enhancing employment opportunities for women and youth to support the achievement of CIHEAM’s Strategic Agenda 2025 (CAPMED) and the Sustainable Development Goals (SDGs). 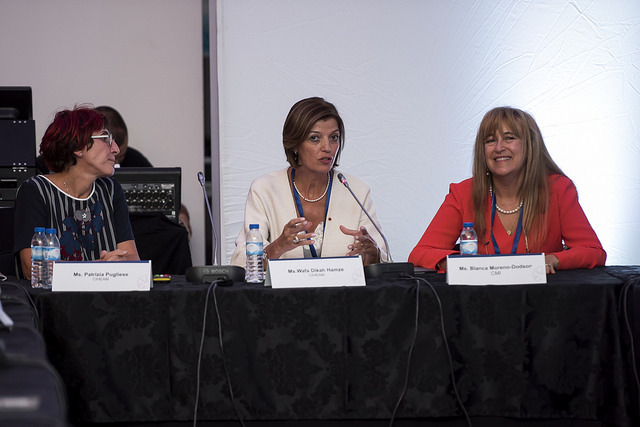 In her keynote address, Marcela Villarreal, Director of the Partnerships and South-South Cooperation Division, FAO emphasized that ‘’research should be focused on the needs of small-holder farmers and their organizations, including women and youth, because in spite of their fundamental role in agriculture, they do not have the access to the productive resources that would enable them to develop their potential’’. During the Forum, CIHEAM and FAO launched a Field Research Initiative for PhD students and young researchers participating in the event. This Initiative will provide participants with the opportunity to carry out short-term research in the field, aiming to strengthen interactions between young scientists, rural communities and local organisations, promote knowledge exchanges, equip youth with practical skills, share best practices and innovative tools for sustainable agriculture and rural poverty reduction across the Mediterranean. 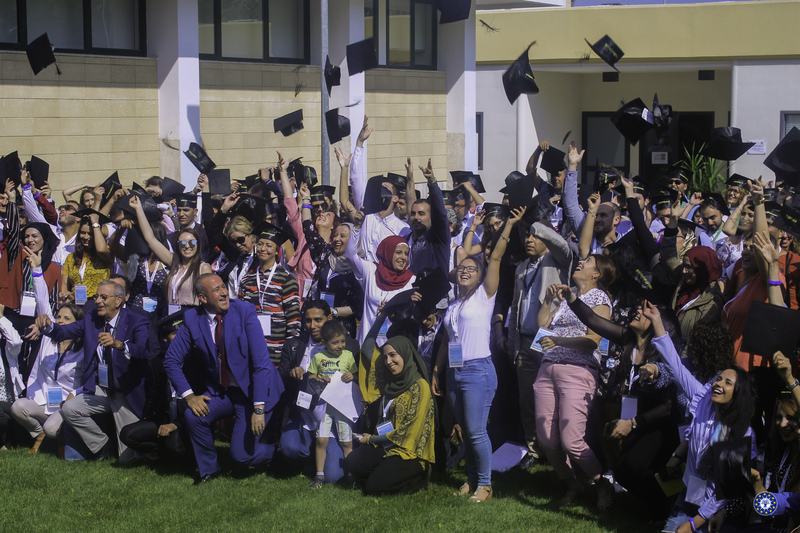 Strengthening research and innovation to enhance employment opportunities for youth and other policies targeting young people are of the highest importance for the Mediterranean area, as a significant proportion of its population is under the age of 30. To understand the drivers of rural migration, including of young researchers. 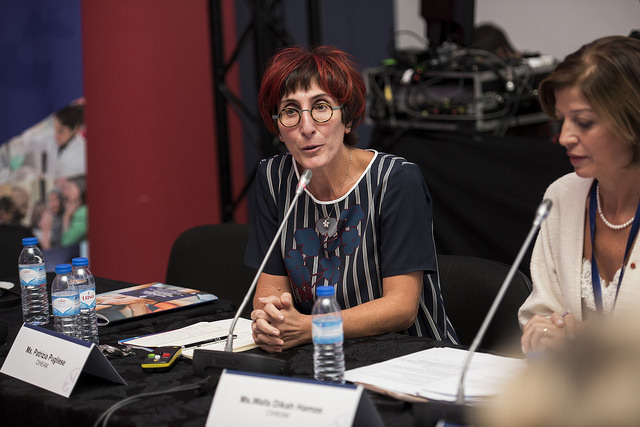 The 1st edition of the Mediterranean Forum for PhD Students and Young Researchers was organized in the CIHEAM Institute of Montpellier in 2016.